Kyllinga, also known as Cyperus kyllinga is an interesting sedge which just never seems to quit. Fortunately for us it has a multitude of uses. The Chinese call Kyllinga “shui wu gong” and use it for common colds, bronchitis, malaria, arthritis, and injuries. The sedge family tends to be very aromatic and good for the digestion. Kyllinga is used for diarrhea in Malaysia, stomach and intestinal problems in India, and for dysentery in China. Either the white headed or the green headed variety can be used. Kyllinga is used in various places in Polynesia for joint pain and rheumatic problems. 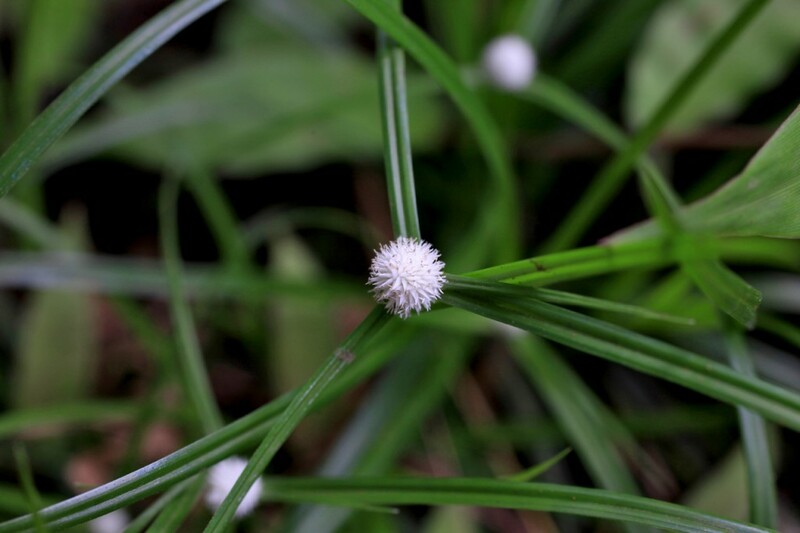 Sedges are easily identified as grasses with three sided stems, and these varieties have a small green or white button-like flower about a quarter inch wide sitting atop a the junction of three grass-like leaves.